Authentic HorseHair from the main and the tail. 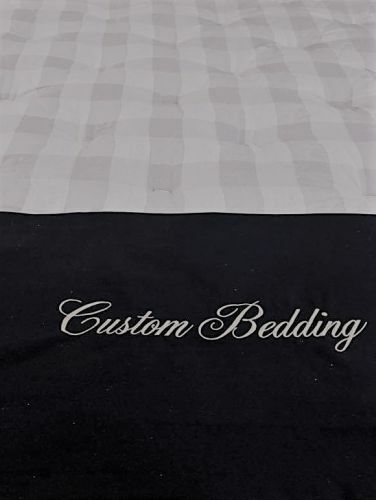 Custom Bedding - Orange Mattress specializes in handcrafted horse hair mattresses for over 100 years. They are of natural Healthy, Eco friendly, Green Mattress material which breath and keep you cool at night. Horse hair mattressesare superior to any mattress on the market today. Horsehair bed mattresses are the best quality ingredient for mattresses which is why we only use the authentic Horsehair from the tail and the main of the horse. Horse hair mattresses can last anywhere from 15 - 50 years. All Hand Made mattresses and beds made of horsehair are flippable (two sided). We always get the question, "are the horses injured during the hair removal?". The answer is no. Only ethically sound procedures are used to obtain the horse hair. The hair is shaven off the horses for the best product imaginable for mattresses. We only use the real authentic horse hair. The horse hair is sanitized and curled in order for it to be soft and springy which makes it optimal for horse hair mattresses, horse hair pillows, and upholstery. All allergens and danders are removed in order to provide you with a hypoallergenic mattress. As far as breathability, Horse Hair Mattresses are the best. Due to the natural nature and springyness, they keep you cool by allowing air circulation through each strand of hair. The horse hair acts as a ventilation system within in your bed which will keep heat away. When cool sleep in present, a deeper more restful sleep occurs which will result in rejuvination. What better feeling could one retreive from their sleep? Consider Orange Mattress/Custom Bedding Horse hair mattresses as a much less expensive Hastens Horse Hair Mattress Alternative.